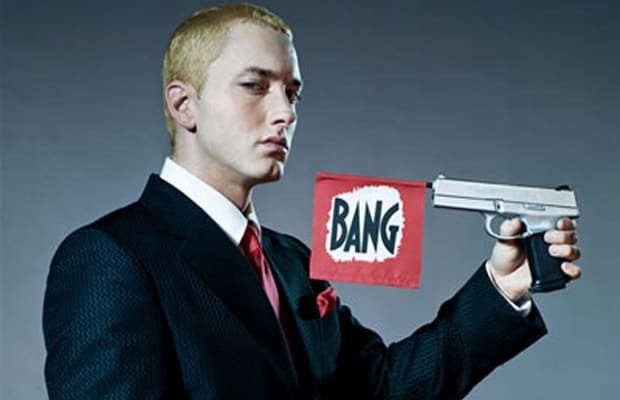 Complex says: Unlike his pal 50, Eminem isn’t known for popping clips so an entire song dedicated to guns might seem like a strange topic for him. But like all of his music, it’s rooted in his real life. In 2000, Eminem caught a gun charge for an altercation with an associate of the Insane Clown Posse. After being stripped of his second amendment rights, Em took to the mic to vent his frustrations. From law enforcement to the President, no one was safe when it came to Em's verbal assault. Not your conventional guns record, but plenty of shots fired in every direction.